Thank you to all buyers and under bidders for your support throughout 2014. 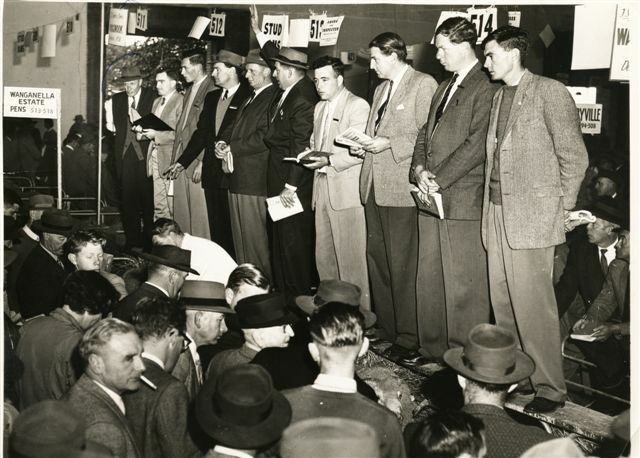 In the breakdown, Macquarie sold 180 rams at auction from 194 offered for a 93% clearance. Rams topped at $4 400 and averaged $1 653. Rams were offered at Hamilton (VIC), On Property, Hay (NSW), Ballarat (VIC) and Campbell Town (TAS). 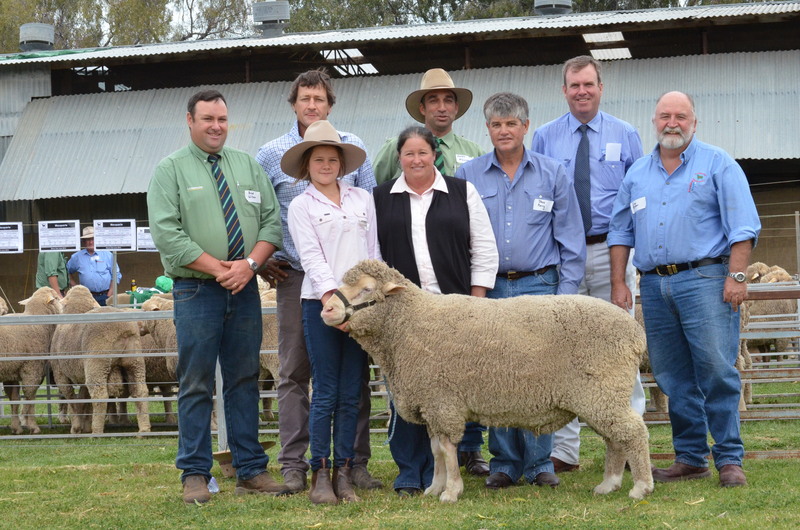 Brad Wilson Landmark Stud Stock Dubbo; John Nadin Macquarie Dohne Stud and his daughter Grace; buyers of the top priced ram Dianne & Stephen Perry, “Wyndabyne” Warren; Ash McGilchrist Landmark Warren; Auctioneer Paul Dooley, Tamworth and Macquarie Co-Principal Greg McCann. Brad Wilson, Macquarie Dohnes Stud Stock Classer James Koster, who purchased the second-top priced ram on behalf of DD Dohnes, Moama, with Ross Thompson, Macquarie Dohnes and James and John Nadin. Chris Bowman, John and Will Nadin. 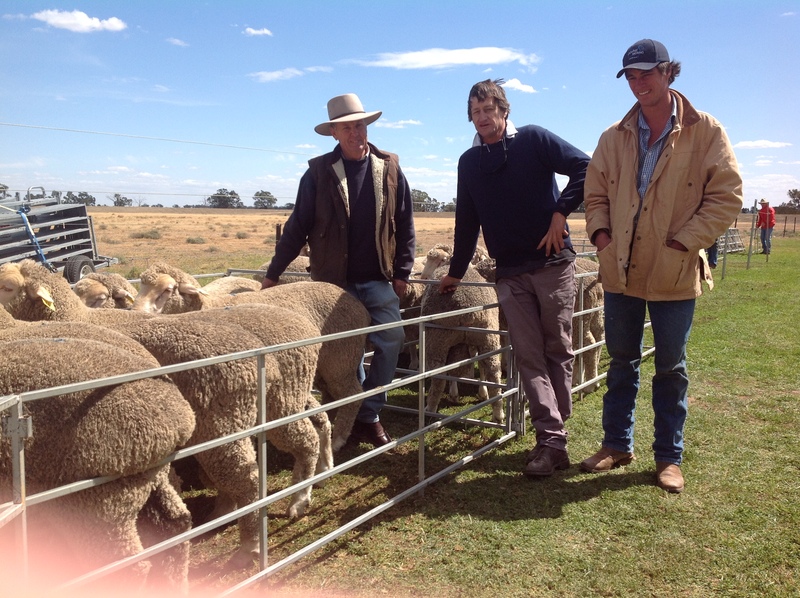 Chris Bowman purchased 8 rams for new Macquarie client Mark Kearine “Euabalong Station” Euabalong NSW. 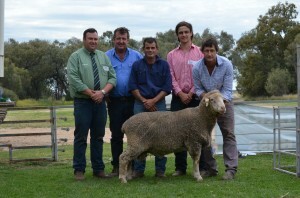 The top price of $1 900 was paid by Russell Fowler, ‘Bendeveron’, Bothwell TAS for a Macquarie ram. 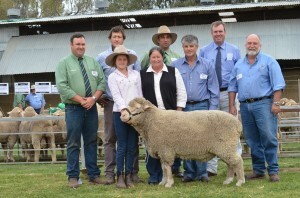 Stud ewe classing has been completed. 800 special stud ewes will be naturally mated and 800 single stud ewes have been set aside to Artificially Inseminate (AI) to our leading stud sires. These include 13-7021(Twin). An exciting young Empire family sire out of an Ace special stud ewe 13-7021 will be AI’d to 400 ewes. Ace 09-2430 (Twin) sire has bred well and will also be used. 2430’s grandsire is MD01-100, who sold for $15 000 at the 2002 National sale. ASBV’s – BW 6.1, CFW 9.1, Fat 0.2 & FD -0.6. Longy’s great great grandsire is Macquarie’s $20 000 sire MD Olympus 03-681. Longy will also be used in our upcoming AI program. 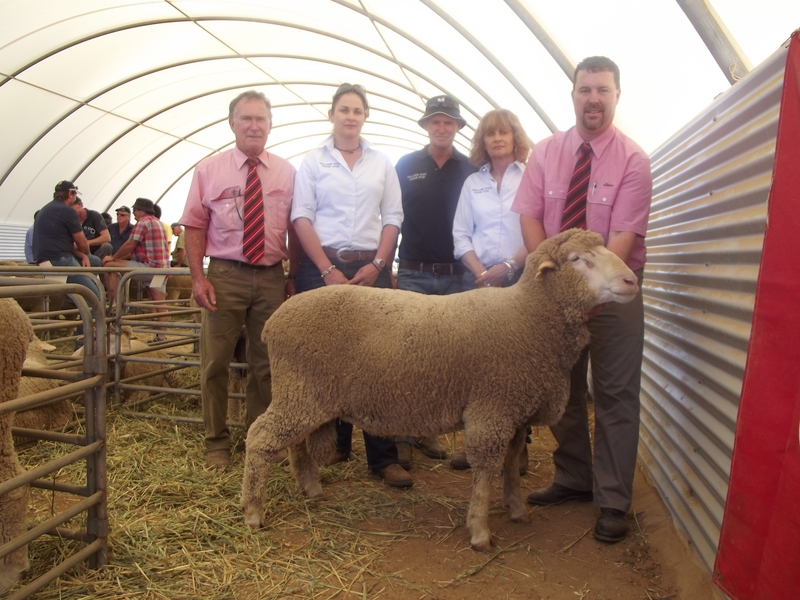 Mollerin Rock Principles Carly, Ian & Steph Longmuir with Nathan King, ADBA classer WA. Council recently held a two day face to face meeting in Melbourne. Guest speakers included Barry Hutton, Riverlea Feedlot; Bruce Peat, Riverside Meats & Andrew Jackson, United Wool. Council heard very interesting talks from businesses which realise the value of Dohnes in their enterprise. Bruce Barnes-Webb, Graham Coddington & I form the national sub-committee for dohne carcass promotion. We are in the process of organising meetings with major processors, retailers & wholesalers throughout Australia. Before this is possible we need carcass feedback pertaining to saleable meat yield, fat depth and eye muscle area. If you have lambs being processed in the upcoming months, please ask for this data to be collected & have it forwarded to either Bruce, Graham or me. A meeting is currently being organised with Thomas Foods. Our aim is to not only promote the dohne but to receive feedback from the processors that can help ensure that commercial dohne breeders receive the value their Dohnes deserve. As mentioned previously, a Quality Assurance Certificate & commercial membership package are in the process of being finalised. We are now waiting on processor feedback before issuing. for wool of $2.73 billion and for sheep and lambs of $2.90 billion). The increased emphasis on lamb production has driven an increase in the breeding ewe proportion of the flock and a rise in the importance of reproductive performance. 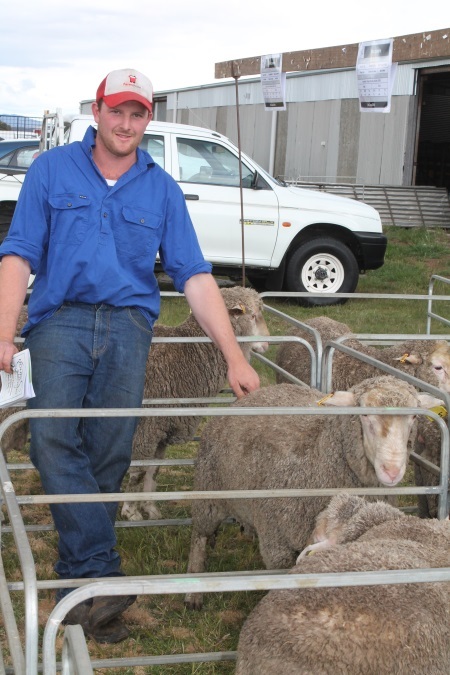 • Average marking rate for other breed lambs – 98% (excludes Merino and first-cross Merino lambs). • 6% of all breeding ewes were on farms that have a marking rate of over 120%. 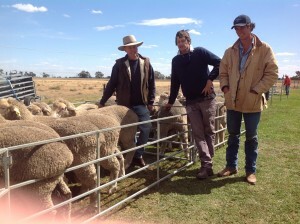 • 43% of Merino ewes mated to Merino rams were on farms with purebred Merino lamb marking rates of less than 80%. 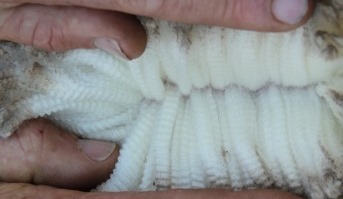 • 2% of Merino ewes mated to Merino rams were on farms with purebred Merino lamb marking rates over 120%. The dohne outperforms in both areas………fertility & wool cut. doing ability, fecundity, growth rates, fat depth & distribution & meat yield. Third from the left John Nadin Snr. Fourth from the right John Coy and first from the right Owen Capper. All young sheep classers with Winchcombe Carsens. How times have changed……this sale went for three days! Once again thank you for your continued support and we wish you all a Merry Christmas, a prosperous New Year. May the heavens open up, especially in those areas devastated by drought.